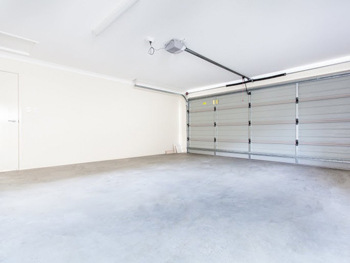 In fact, chain garage door openers are really noisy. The difference with an opener making a humming noise is that this is not normal. It's one thing having a noisy opener and it's another thing hearing noises that weren't there yesterday. This is actually a problem, which might have different reasons for causing the opener to hum. The nature of the problem is not always obvious since there are variations among different instances. In one case, the opener might hum and the door won't open not even manually. In another case, the opener might hum but the door might open. Every problem has its explanation and the best way to find a cure is to consider the symptoms in order to find the cause and end up with a solution. The good thing with a humming opener is that its electric system is unharmed. Humming might come when the opener is activated but the door cannot open because it's locked or the springs have broken. You must consider that the problem is not always centered in the opener parts but in any component of the mechanism.